Kiwi Samsung fans begin counting down to the smartphones’ much-anticipated launch on Saturday 11 April. Spark is now offering its customers an exclusive preview of the Samsung Galaxy S6 and Galaxy S6 edge at selected Spark stores, as Samsung fans begin counting down to the smartphones’ much-anticipated launch on Saturday 11 April. Fifteen Spark stores around the country will have the phones on display, allowing customers to experiment with the S6 edge’s curved display, the high-res camera that opens in 0.7 seconds – and to hold the full-metal body in their hands. Spark also announced the opening of pre-orders, and to celebrate the occasion the first 200 Spark customers to pre-order online will receive two accessories designed to complement the features and style of the phone — an S6 Clear View Case and a Kenu Stance Tripod, worth over $100. “Since it was revealed at Mobile World Congress earlier in the year there has been a huge amount of hype about this phone, with near-universal praise in online reviews,” says Jason Paris, GM Home, Mobile and Business, Spark New Zealand. “Features like the outstanding camera and super-fast processor are of course vitally important, but we think the curved display and sleek new design are equally important for our customers. Paris also noted that Spark had opened up pre-orders for its Samsung customers a couple of days earlier than everyone else. “We know how passionate our Samsung customers are about this new phone so we thought it only right to give our existing customers a chance to reserve their phone for launch day and get their hands on Samsung’s stylish new accessories, for free, ahead of everyone else,” he adds. 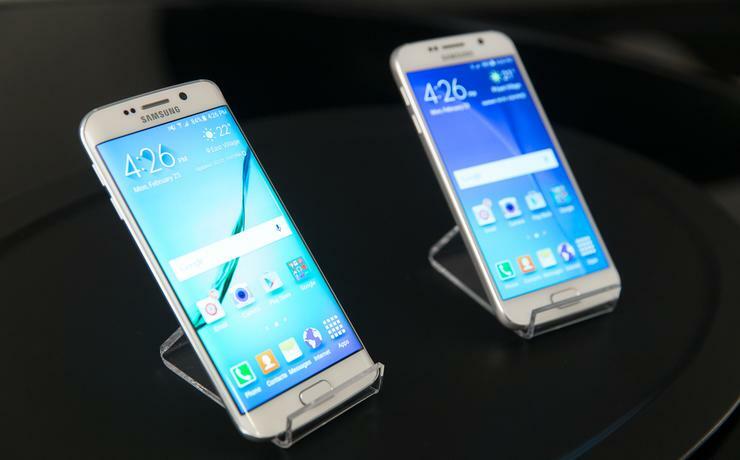 The Samsung Galaxy S6 and S6 edge come in 32GB and 64GB models. The phones will be available for purchase from 9am on Saturday 11 April, from only $46 per month on the $59 Ultra Mobile Open Term interest free plan, $0 upfront on the $139 Ultra Mobile 24 month plan, or starting at $1099 RRP for the 32GB S6 or $1349 for the 32GB S6 edge. Did Samsung really pay “fans” to attend Galaxy S6 launch?